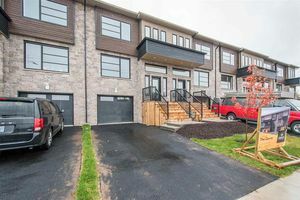 TL06C 56 Tilbury Avenue, West Bedford (MLS® 201727649): Welcome to The Corra, Cresco’s townhomes located in The Parks of West Bedford’s new phase. 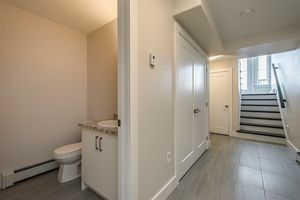 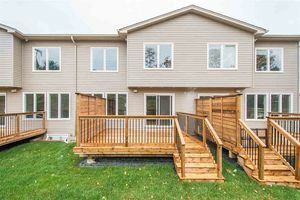 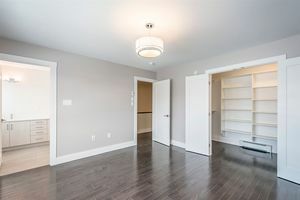 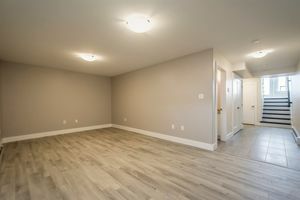 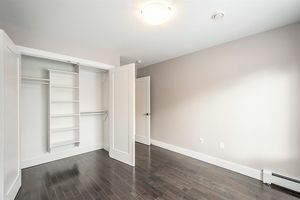 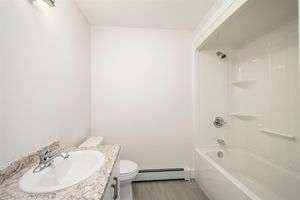 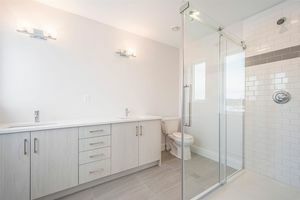 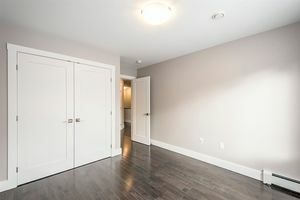 These 3 bedrooms, 2/2 bath, 2-Storey townhomes have contemporary architecture and modern upgraded finishes with beautiful stone and wood siding on the exterior and a carpet free interior. 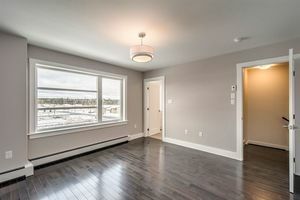 Fully finished on all 3 levels, these homes are EnerGuide certified and efficiently heated using natural gas with a multi-zoned hot water baseboard heating system. 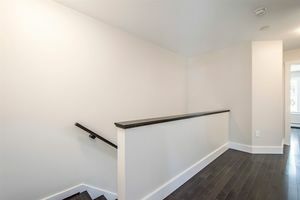 NG lines run to the range, BBQ, and boiler as well. 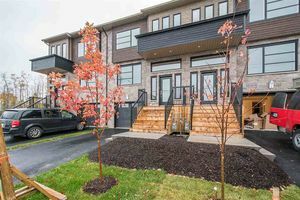 The main floor welcomes you with a 12 ½ ft ceiling foyer, and includes an open concept living and dining room, plus a family room perfect for family time and entertaining. 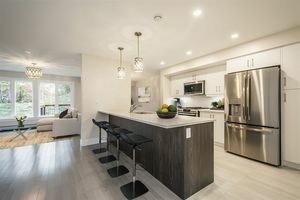 The stylish and spacious kitchen has hardsurface countertops, an island/breakfast bar, under cabinet lighting and a pantry for your convenience. 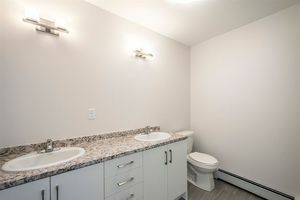 Plush powder bath is upgraded to include quartz countertops. 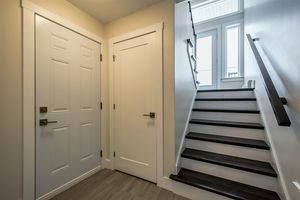 Two-toned hardwood staircases take you to the carpet free upper level that features a master suite with walk-in closet, ensuite with custom shower, quartz double vanity, plus two bedrooms, a main bathroom with full tub enclosure and double vanity, and a laundry room. 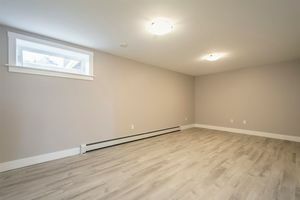 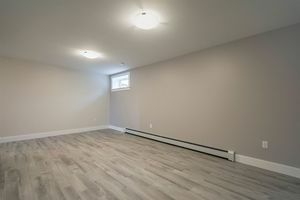 The lower level has laminate flooring consisting of a spacious rec room, half bathroom and plenty of storage. 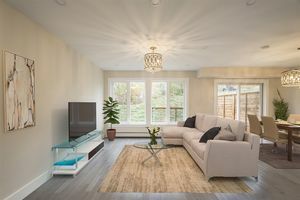 Customize your townhouse today!